The 2015 Baga massacre was a series of mass killings carried out by the Boko Haram terrorist group in the north-eastern Nigerian town of Baga and its environs, in the state of Borno, between 3 January and 7 January 2015. Fatalities have been reported to be "heavy" but their extent is unclear. Western media outlets reported that "over 2,000" people are thought to have been killed or "unaccounted for", but local media reported "at least a hundred" fatalities, while the Nigerian Ministry of Defence said that no more than 150 people in total had been killed, including militants. Several government officials denied that the fatalities were as extensive as reported, with some even claiming that the massacre had never taken place or that the Nigerian military had repelled the militants from the region, a claim that was refuted by local officials, survivors, and the international media. Baga and at least 16 other towns are thought to have been destroyed as over 35,000 people are reported to have been displaced, with many feared to have drowned while trying to cross Lake Chad and others trapped on islands in the lake. The attacks are said to have resulted in Boko Haram extending its control to over 70% of Borno State, while its leader, Abubakar Shekau, claimed responsibility for the massacre in a video statement, saying that they "were not much" and that the group's insurgency "would not stop". Baga, in Borno State, was the location of a Nigerian Army base that was the headquarters of the Multinational Joint Task Force (MNJTF), an international force of soldiers from Nigeria, Niger and Chad that was formed in 1994 to deal with cross-border security issues and, more recently, combating the Boko Haram insurgency. For that reason, the town is believed to have been of strategic importance to Boko Haram, as the last major town in Northern Borno State under the control of the Nigerian government and a key military base for government and international forces. The attacks began on 3 January, when a large number of Boko Haram militants captured the town of Baga and overran the MNJTF headquarters and army base in town. Map of the attack on the MNJTF camp and Baga town. According to Senator Ahmed Zanna, who represents the district of Borno Central, government forces—despite being the joint headquarters, only Nigerian Army forces were stationed there at the time—resisted the militants, who "attacked from all sides", for several hours, but eventually "joined civilians fleeing into the bush". They reportedly seized a large number of weapons and vehicles, according to Zanna. In the days following the assault, the militants forced Baga's residents into the surrounding area villages. On the evening of Tuesday, 6 January, two local residents reported that the militants began to burn local buildings using petrol bombs and explosives, and according to survivors proceeded to kill those left. On 9 January, a resident described the extent of the damage by reporting, "There is not any single house that is standing there." According to Musa Bukar, head of the Kukawa local government area, all 16 villages in the LGA were razed as well, and their residents either killed or forced to flee. The extent of the killings is as of yet unknown, and reports vary widely. Bukar stated that over two thousand people are thought to have been killed. Zanna said that two thousand were "unaccounted for"; other sources said that "dozens" or "over a hundred" had been killed. At least 100 were killed in the initial attack on 3 January, according to Baba Abba Hassan, the district head, later adding that "hundreds of corpses still lay on the streets" of the town and that many women and children were among the victims, having been pursued into the bush by the militants. Hassan, however, denied that the attack on 7 January had ever occurred and that the figure of 2,000 deaths was "outrageous". Several government sources allegedly rejected claims of such a high number of fatalities, suggesting that it was considerably lower. However, the Nigerian government has downplayed the extent of, and frequently outright denied the existence of, Boko Haram attacks several times in the past, including a prior massacre in Baga in 2013 where both Boko Haram and the Nigerian military were implicated in the death of over 200 citizens. Satellite imagery taken on 2 and 7 January was released by Amnesty International showing that in Baga, which is "less than two square kilometres in size, approximately 620 structures were damaged or completely destroyed by fire." In Doron Baga, located about 2.5 km away, fishing boats present on the 2nd were no longer visible, and "more than 3,100 structures were damaged or destroyed by fire affecting most of the 4 square kilometre town." Daniel Eyre, Nigeria researcher for Amnesty International stated: "The attack on Baga and surrounding towns, looks as if it could be Boko Haram's deadliest act in a catalog of increasingly heinous attacks carried out by the group. If reports that the town was largely razed to the ground and that hundreds or even as many as two thousand civilians were killed are true, this marks a disturbing and bloody escalation of Boko Haram's ongoing onslaught against the civilian population." Maina Maaji Lawan, a former governor of Borno state and the current Senator representing the district of Borno North, questioned why the soldiers had reportedly fled the base, saying: "[t]here is definitely something wrong that makes our military abandon their posts each time there is an attack from Boko Haram." This followed a spate of Nigerian troops, numbering in the hundreds, fleeing Boko Haram in battle. According to Lawan, the attack meant that 70% of Borno State would now be under the control of Boko Haram. One government spokesperson gave the atypically precise figure of 1,636 people as having been displaced as a result of the attack, and "brushed aside" claims that it had been more severe. According to independent reports and local officials, however, least 35,000 people are thought to have fled the region. "Bodies lay strewn on the streets", according to survivors, as the entire population of Baga is thought to have fled, some into Cameroon and Chad. Approximately 20,000 sought shelter at camp near Maiduguri, the state capital, and another 10,000 in Monguno were waiting to be transported. Bukar said that the town was now "virtually non-existent". Local human rights activists said that they had been told by women who had escaped the town that their daughters, some as young as 10, had been kidnapped. Chadian Prime Minister Kalzeubet Pahimi Deubet said that at least 2,500 Nigerians and 500 Chadians had sought refuge in the neighbouring country following the attacks, some of whom were trying to cross Lake Chad in flimsy and overloaded canoes. Many of those trying to cross the lake were feared to have drowned, while hundreds of others, over five hundred by one account, were trapped on islands in the lake. According to local officials who had communicated with the refugees via telephone, refugees were "dying from lack of food, cold and malaria" on one "mosquito-infested island." A large number of commentators criticised what they saw as insufficient coverage of the massacre in the international newsmedia, suggesting it was indicative of an ingrained bias towards African affairs. Others condemned the degree to which the government of Nigeria and local media was downplaying or even ignoring the attacks, adding that local apathy was ultimately responsible for the amount of attention which foreign media chose to place on the massacre. The responses of government officials were considered to be closely related to the highly contested presidential election taking place that year. Government security officials initially stated that "base troops had held their positions" and quickly denied that any attack had taken place in Baga. One pro-government newspaper, citing a local fisherman, went as far to claim that Boko Haram had instead been dealt a "heavy defeat" by the Nigerian military in Baga and that the town was firmly under government control. Air Chief Marshal Alex Badeh, the Chief of the Defence Staff, initially denied that the MNJTF headquarters had been captured but later admitted that it had. The location of the attack in remote northeastern Borno State, much of which is occupied by Boko Haram, as well as "the routine nature of Nigeria's violence may have diminished" perceptions of the massacre's newsworthiness. Experts have noted that media has been suppressed in Borno State, where witnesses with information frequently lack contacts with the media, and statements by the military are unreliable. The Nigerian press was also seen as not adequately covering the attacks in Baga. One expert stated: "Local media caught on to the story only after the BBC's coverage. This is because there's been ongoing violence in the past year and people are increasingly desensitised." Many newspapers did not initially report on the massacre at all, and those that did, in many cases, either referred to the prior first attack on 3 January and gave figures far more limited than those circulating elsewhere, or gave outright denials of one sort or another. One newspaper's headline stated that the "BBC lied" in reporting that the second attack of 7 January had taken place. Goodlook, or Goodluck or whatever his name is or badluck I don’t know ... He is quick to release statement about the killing in Paris; but don’t (sic) say anything about the killings in his own country. That’s an irresponsible leadership. On 14 January, Goodluck, along with Chief of the Defence Staff Badeh, National Security Advisor Sambo Dasuki, and several other senior military commanders, made an unscheduled visit to Maiduguri, meeting with Borno's governor, Kashim Shettima, at the city's airport under heavy guard. The visit was "shrouded in secrecy" and Jonathan made no public comment about his visit or the attacks while there. On 16 January, members of the Young Global Leaders of the World Economic Forum, including Hafsat Abiola-Costello, daughter of the late imprisoned President-elect M.K.O. Abiola, published an open letter in The Guardian to Jonathan urging him to end his silence on the attacks, saying that he had "met calamity with insouciance", drawing parallels with his belated response to the Chibok schoolgirls kidnapping. The issue of the Boko Haram insurgency and the inability of the government to fight the group were closely tied with the country's upcoming presidential elections. According to Manji Cheto, vice-president of a corporate advisory firm, Goodluck “by acknowledging the scale of the violence, [would be] acknowledging a certain degree of his failure as a president, so he’s not going to talk about security with less than six weeks to go before the election." Many analysts and observers expressed similar views, that the downplaying of the attacks by Goodluck, the government, and media outlets supportive of the PDP was intended to reduce the political costs of domestic instability in the election. In contrast, the opposition All Progressives Congress and its candidate, former military ruler Muhammadu Buhari, were quick to condemn the attacks and the government's response. Buhari, on 10 January, said that the massacre was further proof to the claim that "Nigeria has become a place where people no longer feel safe, where the armed forces have neither the weapons nor the government support required to do an effective job of protecting Nigerian citizens and their property." Buhari, a Muslim from northern Nigeria, seized power in a 1983 coup d'état before being ousted himself in a coup d'état in 1985 on the grounds that his style of rule was excessively repressive. According to analysts, however, to many Nigerians in 2015, Buhari's "reputation for strong leadership and intolerance of corruption" as leader, and his campaigning on such, appealed to an "intense public yearning for an end to Boko Haram’s nihilism and to instability caused by rising communal, criminal and political violence". The search for security could "override traditional voting patterns based on religious and ethnic affiliations", but the International Crisis Group in a reported warned that the tightening race instead "suggests the country is heading toward a very volatile and vicious electoral contest." Although the elections were postponed, the ongoing violence and insurgency of Boko Haram is regarded as having played a major factor in Buhari's ultimate defeat of Jonathan. ^ a b Mausi Segun, Dispatches: What Really Happened in Baga, Nigeria?, Human Rights Watch, January 14, 2015. ^ a b c d e f g "Boko Haram destroys at least 16 villages in NE Nigeria: officials". Business Insider. Agence France-Presse. 8 January 2015. Retrieved 8 January 2015. ^ a b c d e f g "Boko Haram crisis: Nigeria's Baga town hit by new assault". BBC World News. British Broadcasting Corporation. 8 January 2015. Retrieved 8 January 2015. ^ a b c d e f Smith, Alexander (8 January 2015). "Boko Haram Torches Nigerian Town of Baga; 2,000 Missing: Senator". NBC News. National Broadcasting Company. Retrieved 8 January 2015. ^ a b c d e f g h i "Boko Haram kills dozens in fresh raids in Nigerian town". Thomson Reuters. Reuters. 8 January 2015. Retrieved 8 January 2015. ^ a b c Olanrewaju, Timothy (9 January 2015). "One week after Boko Haram attack, corpses litter Baga". The Sun (Nigeria). Archived from the original on 10 January 2015. Retrieved 9 January 2015. ^ a b c d e "Boko Haram suffers heavy defeat in surprise attack on military base". News Express. 5 January 2015. Retrieved 9 January 2015. ^ "Boko Haram claims Baga massacre and threatens Nigeria's neighbours". The Guardian. 22 January 2015. Retrieved 4 February 2015. ^ a b c Smith, Alexander (8 January 2015). "Boko Haram Militants in Nigeria Storm Key Base in Baga". NBC News. National Broadcasting Company. Retrieved 8 January 2015. ^ a b c d Roggio, Bill (4 January 2015). "Boko Haram overruns Multinational Joint Task Force base". Long War Journal. Retrieved 8 January 2015. ^ Hinshaw, Drew; Akingbule, Gbenga (9 January 2015). "Boko Haram Rampages, Slaughters in Northeast Nigeria". The Wall Street Journal. Dow Jones & Company. Retrieved 10 January 2015. ^ Hayden, Sally (8 January 2015). "Gruesome Reports Emerge of New Boko Haram Massacre in Northern Nigeria". Vice News. Vice Media. Retrieved 9 January 2015. However, an NGO researcher in Nigeria told VICE News that she had heard from various sources — including one inside the Ministry of Defence — that the number of new fatalities in Baga could be considerably lower, though she couldn't independently confirm those claims. ^ "Boko Haram seizes strategic Nigerian town :Boko Haram seizes strategic Nigerian town Army denies takeover even as thousands of people are reported fleeing northern Nigerian town amid Boko Haram attack". Al Jazeera English. Al Jazeera. 2 September 2014. Retrieved 9 January 2015. Boko Haram have seized a strategic town in Nigeria's far northeast, prompting denials from the military... [which] countered that it had pushed back the militants, who in recent weeks have moved from indiscriminate and retaliatory hit-and-run attacks to seizing strategic territory in Borno state. ^ "Nigeria gov't denies new Boko Haram mass kidnap". CBS News. Columbia Broadcasting System. 24 June 2014. Retrieved 9 January 2015. Witnesses say Islamic extremists have abducted 60 more girls and women and 31 boys from villages in northeast Nigeria. Security forces denied the kidnappings. ^ Bello, Usman A. (17 September 2014). "Police Deny Boko Haram Attack in Kogi". Daily Trust. AllAfrica. Retrieved 9 January 2015. The police in Kogi State yesterday refuted reports of an attack on a military vehicle by suspected Boko Haram members in the state. ^ Amnesty International, Nigeria: Massacre Possibly Deadliest in Boko Haram’s history Archived 13 January 2015 at the Wayback Machine, January 9, 2015. 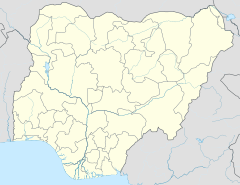 ^ Monica Mark, Boko Haram's 'deadliest massacre': 2,000 feared dead in Nigeria, Guardian, January 10, 2015. ^ a b "Boko Haram displaces 1,636 in Baga". News Express. 7 January 2015. Retrieved 9 January 2015. ^ Adigun, Bashir (6 January 2015). "Nigerian Defense Chief: Military Base in Hands of Extremists". ABC News. Associated Press. Retrieved 9 January 2015. ^ Matt Schiavenza, Nigeria's Horror in Paris's Shadow, January 11, 2015. ^ a b c Eliza Anyangwe, Boko Haram attacks: why isn't Nigerian civil society protesting terrorism? m Guardian, January 14, 2015. ^ "BBC Lied, no Fresh Boko Haram Attack on Baga". News Express. Anadolu Agency. 8 January 2015. Retrieved 4 February 2015. ^ Shearlaw, Maeve (12 January 2015). "Why did the world ignore Boko Haram's Baga attacks?". The Guardian. Retrieved 13 January 2015. ^ Caroline Bankoff, Why Isn't There Better Coverage of Boko Haram’s Huge Attack in Nigeria?, New York, January 14, 2015. ^ a b c d Magnowski, Daniel; Emele, Onu (12 January 2015). "Nigeria's Jonathan Slams Paris Attack, Ignores Baga Massacre". BloombergBusiness. Bloomberg LP. Retrieved 4 February 2015. ^ Oyediran, Moses (9 January 2014). "Jonathan attacks APC". Daily Times Nigeria. Retrieved 4 February 2015. ^ Hassan, Adebayo (14 January 2015). "South African Politician, Malema, Attacks Jonathan, Says President "Irresponsible" Over Silence On Baga". Sahara Reporters. Retrieved 4 February 2015. ^ "Nigerian president Goodluck Jonathan visits Boko Haram stronghold". The Guardian. Agence France-Presse. 15 January 2015. Retrieved 4 February 2015. ^ members of the World Economic Forum of Young Global Leaders (16 January 2015). "2,000 dead and nothing said: leaders ask Nigeria's president to end silence". The Guardian. Retrieved 4 February 2015. ^ a b "The Observer view on Nigeria's potentially explosive election". 4 February 2015. Retrieved 4 February 2015. This page is based on the Wikipedia article 2015 Baga massacre; it is used under the Creative Commons Attribution-ShareAlike 3.0 Unported License (CC-BY-SA). You may redistribute it, verbatim or modified, providing that you comply with the terms of the CC-BY-SA.